Coffee: Is it Good or Bad for Your Health and Sports Performance (or Just Delicious)? Ever wonder if your daily cuppa joe is helping or harming you? Heard that caffeine (such as that in coffee) can improve your sports performance? Like so many foods and drinks, coffee gets a fair amount of press for its implications in our health. Most of the press is positive, but some is negative too. Since it’s such a commonly consumed beverage, and I myself enjoy a cup almost every morning, I decided to do a bit of sleuthing into the topic. Here’s what I found out. Coffee contains antioxidants which have health benefits and may in part explain the lower risk of some cancers (although this link is not clear). Despite what Cher in the movie “Clueless” would have you believe, there is no truth to the rumor that coffee stunts your growth. A caution, however, that the amount of coffee used in the studies varied and at least one study used 4-6 cups of regular coffee a day which is more than the average coffee drinker consumes and enough to cause side effects in some people. The use of decaf vs regular coffee also varied. Decaf coffee was only found to be helpful with some of these conditions. Too much caffeinated coffee can cause jitteriness, rapid heart rate, dizziness, anxiety, and nausea (all temporary). Some studies have found an increased risk of pancreatic cancer and heart disease among coffee drinkers, although more recent studies have not. However, some people cannot metabolize caffeine as well as others and these people are at an increased risk of heart issues. Caffeine can temporarily raise blood pressure. If your blood pressure is normal drinking coffee daily shouldn’t affect your blood pressure long term, but be aware of how much you are consuming if you have hypertension or pre-hypertension. Large doses may not be good for pregnant women. 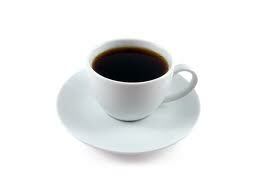 It is safe to consume 200mg/day or less, about the amount in 12 oz of drip coffee. Athletes have long known about the ergogenic effects of caffeine. That’s why you’ll find it added to many sports gels and drinks these days. The main benefit is that caffeine helps enhance fat burning and since fat is the main fuel used during endurance exercise consuming caffeine can help you better utilize this fuel, resulting in the ability to work out longer and harder. Caffeine also stimulates the brain, improving alertness and reaction time, delaying fatigue, and even providing a slight analgesic (pain relieving) effect. Although once believed to be a diuretic, in moderation caffeine should not contribute to enough fluid losses to affect performance. If you want to try using caffeine for sports performance, try using 3-6 mg of caffeine per kg body weight since that is the range studies found to be beneficial. Some of these studies used a bolus dose of caffeine before the exercise, others used it spaced out during the exercise, so experiment with what works best for you. For a 150lb athlete 3-6 mg/kg body weight would be 204-409 mg of caffeine, which is about the amount in 2-3 (6 oz) cups of home brewed coffee. Note that this is a lot more than the amount found in most gels, which typically range from 25-100 mg per gel. It’s important to point out that this performance enhancement applies only to endurance exercise. Caffeine does not seem to benefit strength or speed sports as much. Take these findings with a grain of salt (no, not literally!). These studies cannot prove cause and effect but only an association. It could be that some other commonality among coffee drinkers results in the lower risk of these diseases. However, it does appear that the news is mostly good, so don’t feel guilty about enjoying your coffee. Just make sure you’re not relying on coffee to meet your body’s fluid needs. Tolerance to coffee and caffeine varies from person to person, so stop before you start feeling jittery. Although it’s unlikely to cause any health issues, don’t expect it to cure anything either. It’s not worth choking it down just because you heard it was good for you if you don’t actually enjoy it. If you are an endurance athlete, I believe that caffeine is definitely worth experimenting with. Whether you do this by coffee consumption or not is a personal preference.